The massive – and desperate – American offensive against world order is entering a new phase, as the U.S. prepares to resume its historical status as global energy superpower. The Obama administration’s brazen implantation of a rabidly anti-Russian, fascist-led regime in Ukraine places U.S. proxies astride pipelines that carry much of Siberia’s gas to Europe and beyond. Seventy-six percent of Russia’s natural gas exports are bound for Europe, the bulk of it to Germany, Italy, France and the United Kingdom. Russia’s weight in the world is largely derived, not from its economically burdensome nuclear arsenal, but as an energy giant. The U.S.-engineered coup in Kiev sets the stage for a protracted assault on Russia’s energy trade, which accounts for more than half of Moscow’s federal expenditures. Without its huge oil and gas exports, Russia deflates like a leaky dirigible. Even the Americans were not so stupid as to believe that their neo-Nazi friends in Kiev could somehow pry Russia from its naval base in Crimea. Such was never the plan. Rather, Moscow’s response to the overthrow of Ukraine’s elected government was predictable, as was that of the Russian-speaking Crimean majority. Washington’s strategy is to permanently ratchet up tensions to “new cold war” levels to justify sanctions against Russian energy exports while exploiting America’s own natural gas “surplus” as an enhanced weapon of global hegemony. Thanks to shale fracking, the United States recently surpassed Russia as the world’s number one exporter of natural gas, and will next year become the top oil producer. As the New York Times reported on March 5, “The administration’s strategy is to move aggressively to deploy the advantages of its new resources to undercut Russian natural gas sales to Ukraine and Europe.” That’s not the half of it. When Moscow stood up to U.S.-backed jihadists in Syria, the Obama administration understood that the U.S.-Russia button could not be “reset” to Washington’s satisfaction under current conditions. An assertive Russia, increasingly coordinated with China, must be taken out of international contention. Washington will move to crush, or at least seriously disrupt, Russia under its “sanctions as war by other means” machine, by targeting its energy exports, while simultaneously boosting the foreign markets for U.S. natural gas. The U.S. government tells its people that it spends more on weaponry than the rest of the world’s nations, combined, in order to, among other things, maintain the free flow of energy throughout the planet. But, that didn’t stop Washington from attempting to cripple Venezuela’s oil production in 2003, or from preventing Iran, once the world’s fourth largest exporter, from marketing more than a fraction of her production under the current U.S. sanctions regime. U.S. rulers have never been guardians of free oil flow. 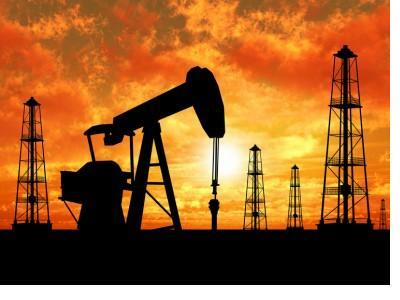 Rather, American policy is designed to ensure that U.S.-based corporations and financiers dominate the global energy trade, and that the dollar remains central to energy transactions, regardless of where the oil and gas comes from. Russia also plays a key role as the energy giant among the BRIC bloc, which is the most likely venue for hatching alternatives to dollar hegemony. Venezuela, which barters oil with some of its Latin American partners and uses the proceeds of its dollar-denominated exports to build structures of resistance to U.S. imperialism, must also be forced back into line, or taken out of the game. Room must be made for this global supplier in an energy-glutted world. Russia’s gas sales to Europe need to be “undercut,” as the Times puts it. Sanctions can reshape the global markets to the advantage of the new energy superpower – war by other means. Corporate media mask the historical moment with juvenile jibes at Putin, as Washington prepares to subdue the planet with gushing oil and burning water.